Learn acupuncture treatments for low back pain. Topics include sciatica, disc disorders, piriformis syndrome, lumbar radiculopathy, hypertonicity, muscle spasms, and more. Review modern research on the effectiveness of specific acupuncture points. Download the course, complete the online quiz, and receive immediate acupuncture license credit. Great course on low back pain, everyone should take it. This is a good acupuncture continuing course to learn lower back pain treatments. Comprehensive look at the research and mechanisms of acupuncture for lower back pain. Good information to apply to the clinic and persuade other providers to refer LBP patients for acupuncture. deals with modern finding with neuro-acupunture treatment. also deals with lower back pain broadly and summarize all conditions. A very detailed course, great for future reference. Very informative course and beneficial. Learned a lot of useful information about treating low back issues. Lots of information in the material. Takes time to read but gives you all the information you need to know. Great info. Slides are well organized. Practical and clinically useful information. Good review and interesting research information. Very detailed and useful for practical application. I thought it was easy to use and informative. This course was informational and provided great visuals for points/anatomy. it was a good refresher course of points and procedures. also good collection of newer acupuncture studies. I really enjoyed this course. I can thoroughly recommend it. this was a helpful course. I enjoyed the studies at the end. Great course! I like that current research is included in the material. The broad coverage of modalities and techniques is a good refresher and basis for further investigation. Good course. Highly recommended. I thought it was thorough and gave very specific information for the treatment(s) of low back issues. excellent! well written, very useful. Excellent and useful! I can save the treatments and apply them to patients with ease. Excellent Material!! Received a lot of very useful information and also supportive research evidence that can be cited. This course is a valuable summation of the diagnosis and treatment of back pain, and of recent research into acupuncture. informative and helpful in the treatment of lower back pain. the comprehension is very clear and easy to read, the pictures show the anatomy. Love the organization of the material! So easy to follow! 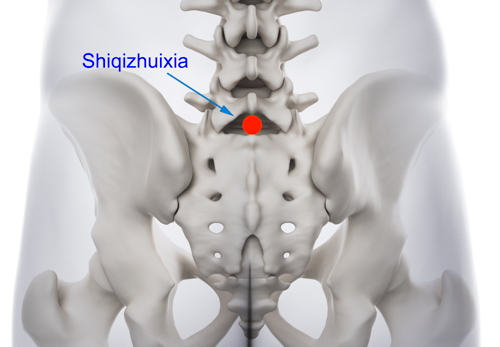 To treat lumbar pain has different ways and techniques. As an acupuncturist who mainly works with chiropractors, this information pertains to roughly 3/4 of my patient base. Very informative and interesting course. Very happy I took this course. Long but lots of great information here.